Gazans hurl firebombs at IDF soldiers, attempt to cross into Israel. Thousands of Gazans rioted along the Gaza-Israel security fence, the IDF reported. The rioters hurled several firebombs and IEDs at the security fence. No injuries to IDF soldiers were reported. In a statement, the IDF noted that IDF troops spotted several suspects crossing into Israeli territory. The suspects retreated immediately into Gaza. 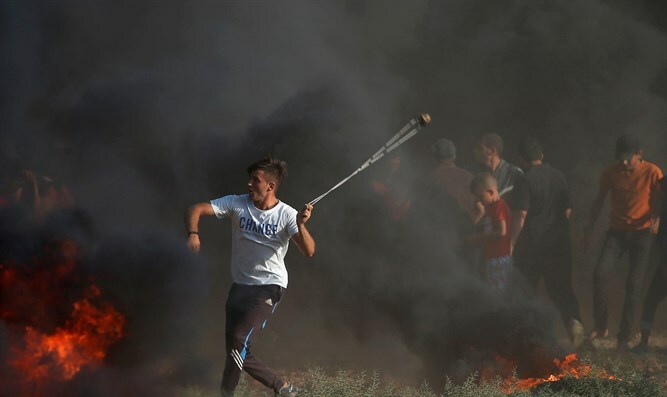 "IDF troops responded with riot dispersal means and fired live rounds selectively according to standard operating procedures," the statement said.